To check our actual offers in Rosenheim, please use the white form above. Just enter the desired dates, time and pick-up/return location. The most recent car booking in Rosenheim has been made on our website 3625 minutes ago.. In Rosenheim, we offer for rental 6+ car categories from 8+ rental suppliers. Low prices. OrangeSmile.com offers car reservation service in Rosenheim on the best-rate-guarantee basis, since we work with car suppliers directly. For your dates in Rosenheim, we select and present the best ever possible rental offers. Our car rental process contains 3 simple steps: (1) search for available cars for your dates in Rosenheim; (2) select your car type; and (3) fill in the booking forms. When your booking in Germany is completed, you will receive our confirmation voucher to your email address. Your reservation in Rosenheim should be confirmed by a valid credit card. During the booking process, please check your rental conditions. To pick up your car at the rental point in Rosenheim, you need to provide our confirmation voucher, your driving license and a valid credit card. A credit card is necessary for a deposit. In Germany, the deposit amount depends on the age of the driver and a type of the rented vehicle. The final payment in Rosenheim is normally performed at the pick-up point. Our car hire points in Germany accept VISA, MasterCard, etc - please check your rental conditions. At the pick-up point in Rosenheim, please read the handling manual and check the car for present defects. In case, if some defects are not mentioned in the rental documents, please report back the rental office. OrangeSmile.com wishes you a pleasant journey to Rosenheim! It’s normal to leave a tip in the local restaurants and cafes. The average amount of tip is about 5 - 10% of the total bill. It is worth noting that in many bills tips may already be included. In this case leaving a tip to a waiter is not required. In order to save on attending exhibitions and cultural events, you can purchase special "city-card". Besides numerous benefits, the card gives the right to enjoy a reduced fare in public transport. The card can be purchased in every major hotel or in kiosks near public transport. 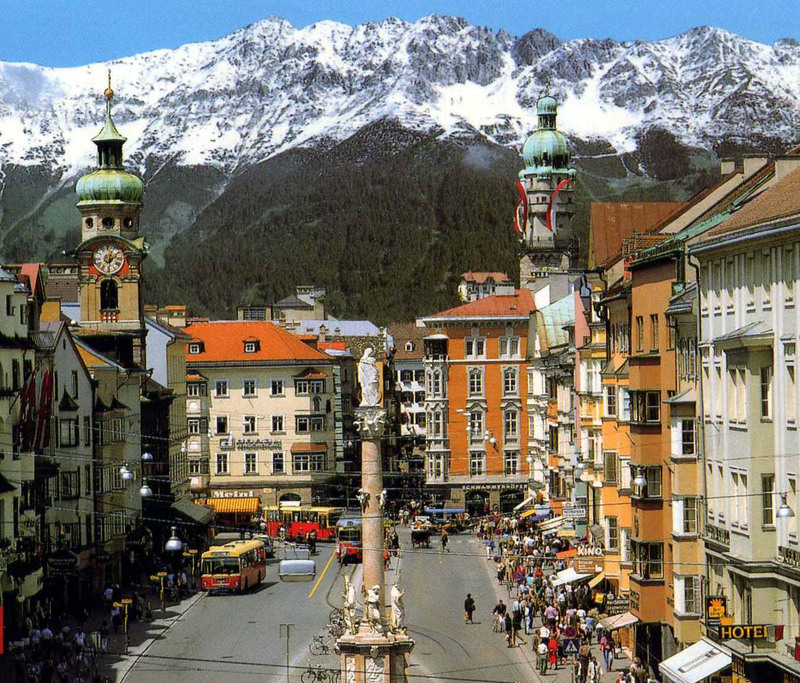 Those, who expect to ski a lot during their rest in Innsbruck, do not have to take sports equipment with them. You will find many sports equipment rentals in the city. Skis and other sports equipment should not be taken with you to your room. Every hotel has a special room for storage of sports equipment.